Apparently I was a picky eater growing up. I had an aversion to fine foods. Little did I know, this was not my fault. I did not arbitrarily shy away from certain foods, and I am happy to report that years later, much of my hated foods list has become part of my favorite foods list. Come on, who really likes canned beets? So not yummy. And those beets were the only ones I knew. Thankfully, I have discovered freshly roasted beets. Try them. You’ll thank me, and your body will thank you. I always associated sweet potatoes and yams with Thanksgiving, which meant they were candied. Turns out sugary potatoes aren’t my style. However, roast these root veggies with olive oil, salt and pepper, and I will eat them like candy. I feel like quinoa is the one food everyone has to be in love with in order to declare oneself a healthy eater. I could not jump on the quinoa train, though, and I really tried. Then I discovered quinoa cooked in coconut milk, which gives it a miraculous new flavor and makes for a choice breakfast item. I think I despised walnuts because my baby-sitter made picking black walnuts out of the yard an after-school activity. That woman was a saint on earth, but picking walnuts was not fun. My devotion to walnuts now is as immense as was hers, and I am oh-so-thankful. I top everything with walnuts. Low-calorie flavored yogurt is gross. It is sour and unsatisfying. I gave yogurt a second chance in the form of creamy, organic, plain, whole-milk yogurt. I spiced it with cinnamon and sweetened it with maple syrup and fell in love. Try it- love may be just around the corner for you, too. So, you see, there is hope for picky eaters. Check out the videos below to see other ways to enjoy some of my now fancied foods. Have some patience and be curious, and your hated foods may become your favorite foods, too. People who tell me they hate this vegetable reconsider, maybe even fall in love, when they taste pressure-cooked beets. The magic pot renders them tender and silky. The gritty texture and sometimes dirty flavor goes away. Cmon. Give ’em a try. We use these in oodles of dishes – massaged kale salad, tossed green salad, rice and quinoa dishes, rolled into chicken breasts. And they make an exceptional snack, appetizer or gift. Let Steve show you how to make a jar today! Hip hip hooray, brightly colored vegetables! Roasting sweet potatoes makes them super sweet. Combining apples and kale is divine. Put them together and what can we say? Fabulous vegetable dish coming your way. At a recent faculty retreat one of my colleagues was cheerfully talking about her weekends over the summer spent with nieces and nephews. One of the fun activities she set up was food taste tests. – a clever and loving way to develop a child’s palate. Sometimes she would set out 4 or 5 different kinds of cheeses. Not only would they get to vote on which was their favorite, but the children would be queried as to “how does this taste different than that?”, encouraging the children to describe the subtleties. Brilliant! Her lucky young relatives tried various kinds of chocolate and who knows what else. 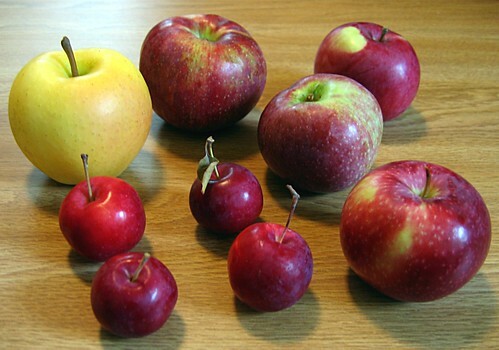 Types of apples? Pickles? Herbal teas. Do you like your carrots baked, roasted or blanched? How about 3 different varieties of winter squash. The game keeps food in the realm of joy and exploration. There are no right or wrong answers. No shoulds or ought tos. Sounds fun, right? I want taste test in June’s kitchen. How about you?